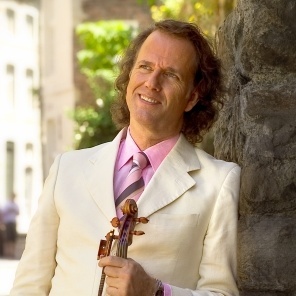 [For concert updates, see the comments below] Dutch Violinist and conductor André Rieu has been controversially awarded the UK’s Classic FM Album Of The Year at the BRIT awards for his album “And the Waltz goes on” on October 3, 2012. Rieu shared the award with “Silence Of The Lambs” star Sir Antony Hopkins, who wrote the title track. Other nominees for the prize were Andrea Bocelli, Hayley Westenra and Russell Watson among others. Rieu dedicated the award to Hopkins at the ceremony in London’s Royal Albert Hall: “He is the greatest actor we have now on this planet. Tony, thank you for this fantastic waltz and thank you for your friendship!” This is the Dutch musician’s second Brit award in a row, following an award for the album “Moonlight Serenade” last year. 2012 was another successful year for the violinist. Rieu gave a record breaking series of 30 sold-out concerts in Sao Paulo, Brazil. He is nominated for a Mexican Luna award. And with his first tour in Brazil Rieu reached the #1 position in Pollstar’s Box Office Chart of highest-grossing tours in July. It’s notable that his achievements outrank artists such as Lady Gaga, Bruce Springsteen, Radiohead, Coldplay, Celine Dion, The Black Keys and Pearl Jam. 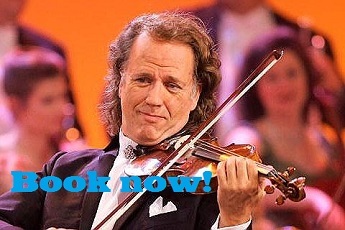 André Rieu and his Johann Strauss orchestra announced new UK and Ireland shows that kick off on December 7 in Glasgow. Due to 7 sold-out concerts, he added an extra concert in Manchester on Thursday 13 December and a third show in Birmingham on Thursday 20 December. André and his Orchestra will tour Florida, the West Coast, Arizona and Vancouver in March 2013. Tickets can be bought from the André Rieu ticket shop. I can understand their point. Rieu already beats pop music at its own game. Shouldn’t the classical music awards be giving a hand to classical musicians that could do with some support?